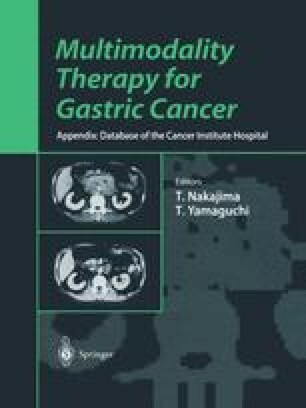 Recent studies of modulated 5-fluorouracil (5-FU) have reported a high response rate in patients with metastatic and advanced gastric and colorectal cancer . 5-FU tablets (Kyowa Hakko, Japan) have been commercially available in Japan since the 1970s and are widely used for the treatment of gastric, colorectal, and breast cancer. The drug is mainly employed in an adjuvant setting with long-term oral administration in mild toxic dose schedules . However, there has been no marked benefit of postoperative adjuvant chemotherapy for 5-year survival, except in the stage II or III subgroups of gastric carcinoma [3,4].